October 10th in Free Plug-ins by Wordpress Jedi . Whether you are a pro blogger, a portal developer, or into personal blogging, you should still take time to analyze your traffic and find out more about your audience. Conducting surveys, going through your Google Analytics data, and using polls are just a few ways to gather more information about your audience. 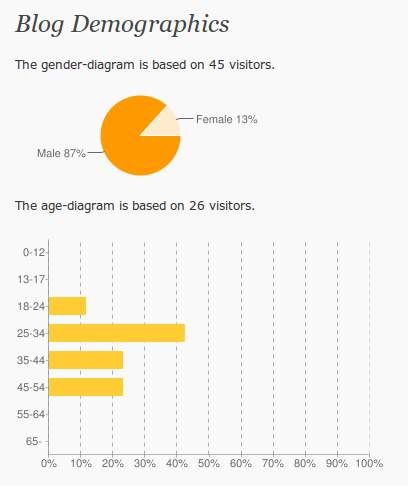 Knowing more about your blog demographics would not hurt either. 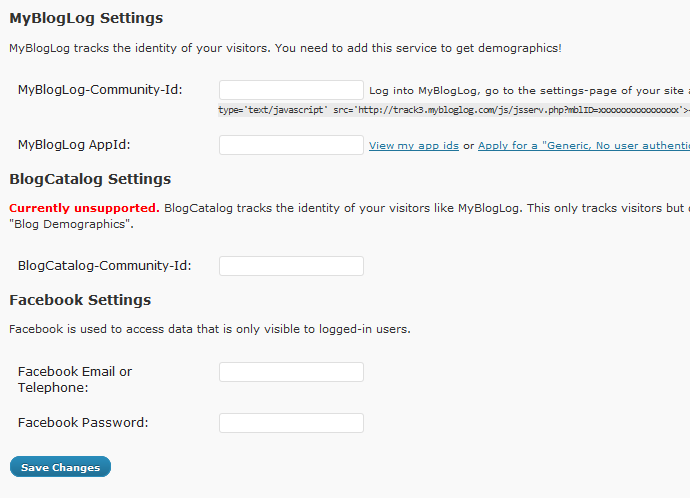 That’s when Blog Demographics plugin comes handy. It uses third-party services to analyze your traffic and provide you with detailed information on your visitors. This plugin is not going to track all your visits, but a large enough sample would be enough to give you the information you need to plan your content for the future. Blog Demographics may not be the perfect solution, but as long as you are getting decent traffic on one of these services, you should be able to get some actionable data out of this plugin.